With an estimated revenue growth of $67B in 2015 to $162B in 2020, the hype around cloud services is not fading away anytime soon. And the driving force behind this widespread expansion of cloud is the business reliability and process simplification it offers. To exploit these benefits, cloud technologists have already started expanding its utilities in multiple ways. And one such way has been to streamline the process of business communication by replacing the complex wired infrastructure with a cloud setup, also known as, Cloud Telephony. 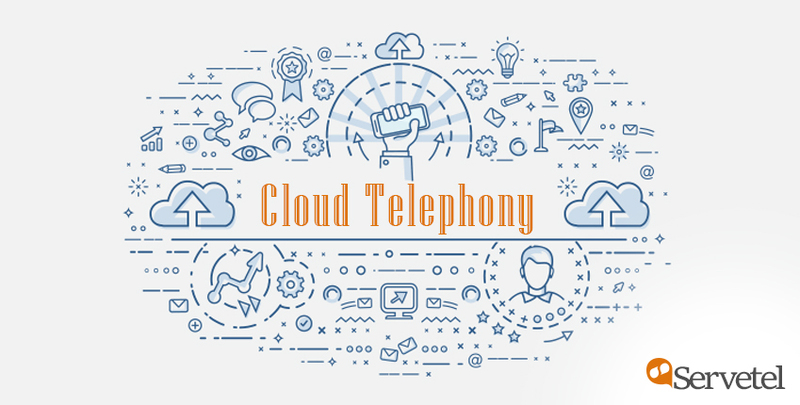 Cloud telephony eliminates the overhead of buying and installing the complicated infrastructure setup in your organisation’s premise. In addition to this, it also provides value add-on services which simplify your everyday communication challenges and makes the business more customer-friendly. However, many companies in the market are still not using cloud telephony system which is affecting their overall business efficiency. Receiving high volume of customer calls is what your business longs for. But this boon immediately turns into bane if a large number of calls remain unanswered every day. If your business is also facing the same problem, then certainly your business reputation is in trouble. Apart from affecting customers’ faith in your brand, it also burns a hole in your pocket by affecting your profits margins. Cloud telephony solution here easily caters to this important business scenario. The auto-receptionist feature of this solution automatically answers all your incoming calls with a pre-recorded welcome message. Moreover, with call forwarding and intelligent routing features, you can easily distribute your incoming call to different agents without letting the caller know. By providing the IVR system, you can also offer your callers self-help options which effectively handles many of your customers’ query. Business expansion is proportional to your growth, and any hurdle in the same affects your business efficiency. So, while planning to expand your business, you need to ensure all your business resources are getting scaled as well, be it your office space or your telephony system. However, scaling your telephony system becomes a tedious task as it asks for additional infrastructure. Moreover, you would also need to buy some additional space to install it in your premise. However, cloud telephony system eliminates this complex process. Once you have set your cloud telephony system, scaling the system does not require you to invest large amount of effort or money. You merely need to request your cloud telephony vendor to add more channels in your telephony system. And your system is scaled for use within few minutes. 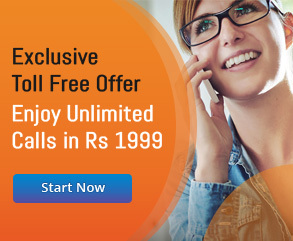 By sending a simple request over the call you can also down-scale your system without any additional expense. No business wants to deteriorate their business efficiency but working across different geographical locations can take a toll on your business’s productivity. And having an inconsistent communication system makes the situation worse. Also, providing work from home facility becomes critical if you are aimed at providing a flexible workplace to your employees. In both the above scenario, you need to ensure a smooth communication infrastructure across your organisation. Adopting cloud telephony system in your business can make remote working a lot easier. Employees, as well as the company both, can reap its benefits to maximise their efficiency. Cloud telephony feature such as call forwarding and call routing further eases up your communication process. 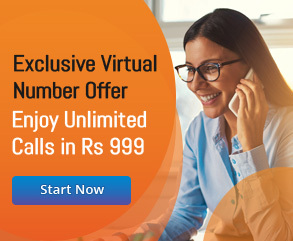 It redirects your incoming office calls to your personal number. For call centre employees, this feature is of great use, as they no longer have to remain glued to their telephony system. How long does it take for you to get any hardware or infrastructure issue fixed? Certainly, your business is in danger if the number is significant enough to impact your business productivity. Failure to fix the disruption at the earliest can lead to a big financial disaster for your company. In such cases, to maintain the continuity you need to be armed with your disaster recovery methods which is a major hindrance in on-premise systems. It involves keeping extra infrastructure ready round the clock which can cost a huge amount to any company. And is practically not a feasible option for every organisation. Whereas, cloud telephony system here is a viable option. With enough infrastructural resources, cloud service providers can easily handle any kind of disasters. Cloud is constantly backing up all your data, applications and other important information on their servers spread across the world. Moreover, cloud providers expertise lies in designing reliable disaster recovery plans. Buying your own servers or data centres can cost you a good amount if you plan to run your own on-premise system. To purchase high configuration hardware, and subsequently setting it up for use asks for huge time and money investment. Moreover, to operate and maintain such complex system you need to hire dedicated technical experts which is an added expense on your business. And in case you plan to shift your business to other location or scale it for expansion, the added expense of buying extra space, and hardware can disorient your planned budget. Opting for cloud telephony services eliminates a large portion of your expenditure. Hosting your telephony system on cloud is less expensive and also saves a lot of time. To set up your system, you simply need to search for a good cloud telephony vendor instead of investing your time in researching and buying the system devices. Services being used including the calling minutes are the only expense for your business in this case. Elimination of the intermediate processes saves a lot of business efforts and cost without compromising on the quality and efficiency of the system. While deciding on such an important factor of your business, many doubts surface business owner’s mind. However, the flexibility, productivity and redundancy cloud telephony offers can surpass all the apprehensions. Not only it smoothens your everyday business processes but also ensures the same with full safety and reliability by providing data security. So, if your business is facing any of the cases mentioned above, then making the switch to the cloud is the immediate solution. Planning to make this switch?